It has been three months since I started my health and fitness journey to get in the best shape of my life. 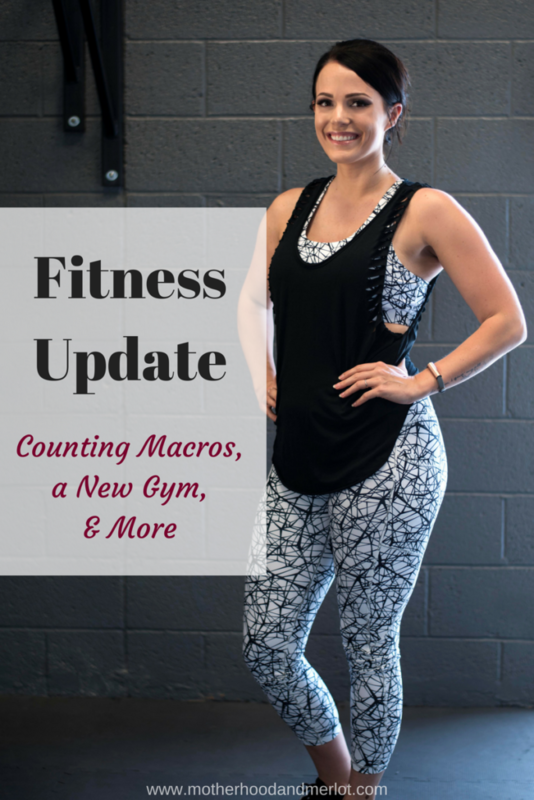 It has been quite the whirlwind since my first fitness post which you can read here, and I wanted to share a fitness update with you all that have been following the journey and helping me stay accountable over on the Motherhood and Merlot Instagram. About a month into working with my previous gym and the fabulous ladies at True Revolution, they had to close down:( Saddest day ever! But, working with them was such a huge kickstart to my motivation and what I wanted out of a gym and trainers. I have now been working with AZ Training Lab for almost two months now, and loving it! They have bootcamp classes, and I am also doing individual weight training once a week on top of that. Dave, who is the owner and head trainer at the gym, has helped me a ton in setting really specific goals, keeping track of what I am eating, and holding me accountable for all of that. So far, I have only lost a few pounds, and those fluctuate thanks to my lovely hormones. However, I feel so much better since getting strict about my counting my macros and logging all of my food into the MyFitnessPal app (if you don’t have it, get it!). For those that aren’t sure what counting macros means, check out this video from my trainer. My hips have shrunk about an inch and half, which is great! My booty, however, is growing (YAY!). My arms and legs have really started to tone out, and I feel a huge difference in my level of strength and endurance during workouts. I have really pushed myself to be committed to the nutrition plan and exercise routine that I have been out. Working out 6-7 times a week is no joke, especially when it’s super early in the morning everyday. But, I can say that it has been so worth it! As a mom, you have to find the motivation for yourself. It can be difficult to find the time to workout and get healthy, but it’s so important, not only physically, but mentally as well, to feel good about ourselves in our own skin. Read more about how I find motivation as a mom here. There is one super annoying thing holding me back from losing weight around my midsection, and that is my extremely large fibroid. Not only does it mess with my hormones dramatically, but it also prevents my belly from looking flat. I always have mound, making me look about 10 weeks pregnant (or just super bloated) almost all of the time. Sigh… I will to have surgery in a few months to take care of this. I love the fitness pal app, I always use it when I need to lose a few pounds!! It sounds like you are doing awesome!! I had the Fitness Pal app a while back, but stopped using it when I got pregnant. I will have to download it again! Macros are so interesting. This was a really helpful post!! Yes, I love having an app to keep me on track! You look great! Glad you are staying committed and moving toward your goals! Can’t wait to see where you’re at in a few months from now!